This gift bundle is a recipe for a happy father! 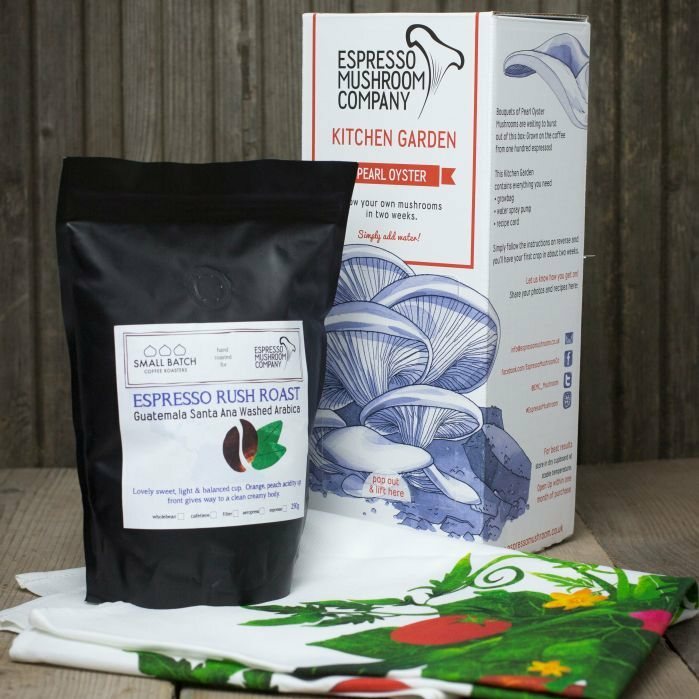 The assortment contains one Pearl Oyster Kitchen Garden mushroom kit, a fantastic Bumper Garden Veg Tea towel, and a 250g pack of Espresso Rush Roast – just choose your grind. The coffee is a lovely sweet, light and balanced number, of tip-top single origin washed Arabica coffee from finca Santa Ana in the volcanic highlands of Guatemala. It was tested on our dad who said the coffee tasted nice, mushrooms were very original (think he was joking about that as he’s been our chief tester for almost 4 years! ), and put the tea towel to good use! 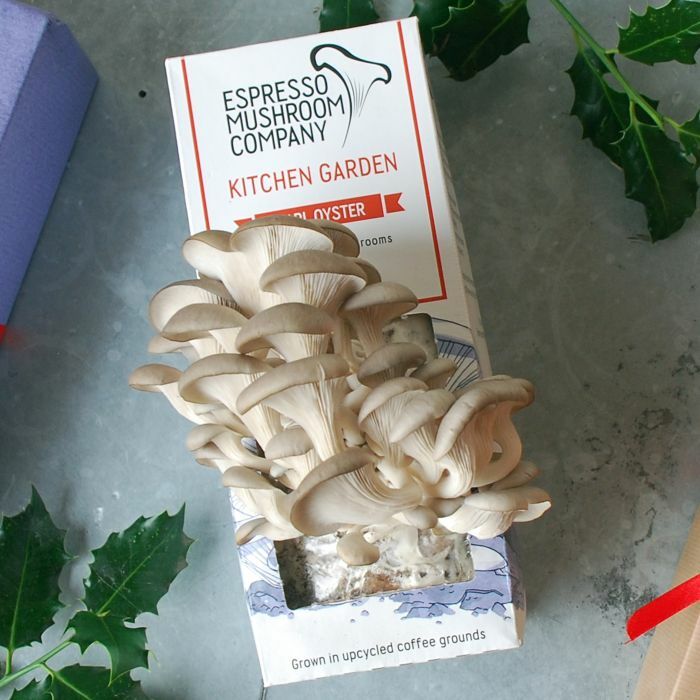 The Kitchen Gardens are handmade in Sussex, each kit is monitored and sent out when ready to grow. The product is 100% guaranteed that if for any reason it does not perform as described it will be happily replaced.Kitchen Garden growbags use upcycled coffee grounds as compost and the growbox is printed on recycled card and contains clear growing instructions, a good-to-go mushroom growbag, free water spray pump and recipe card. 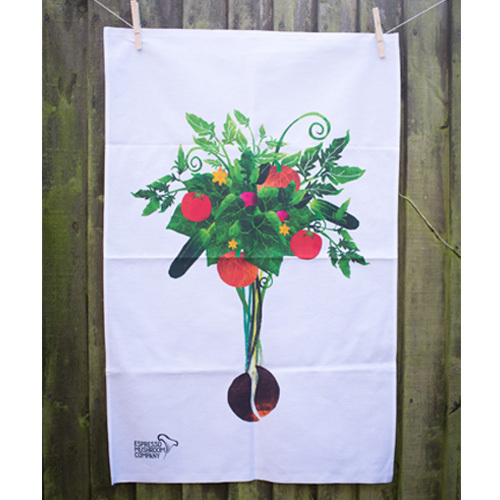 The tea towels are made from 100% Premium Cotton and are approximately 80 cm long, by 50cm wide. Hemmed on 2 sides, they are assured to be soft, strong and thoroughly absorbent! 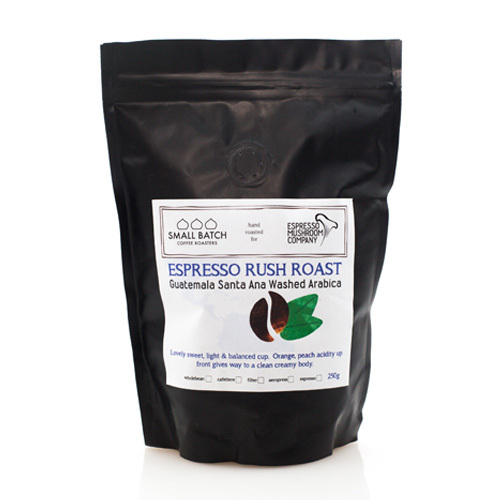 IMPORTANT: The kit that is sent is prepared in advance so it’s ready to grow! 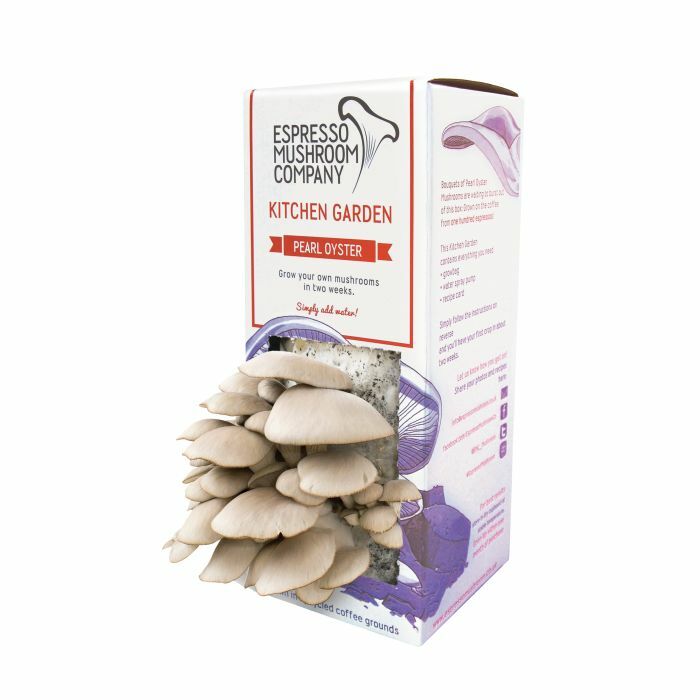 It is strongly recommended opening the Kitchen Garden within 3 months of purchase.